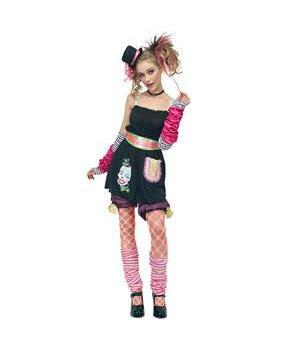 Includes dress, sash, tiny top hat, armwarmers, legwarmers, and knickers. Hair clip, choker, stockings, and shoes are not included. Available in adult sizes Small/Teen, Medium, and Large. Care Instruction: Handwash cold separately. Do not bleach. Line dry. Do not iron. Do not dry clean.